The Power Cleaning Company - Cleaning Services, Driveways/Patios/Paths, Rubbish/Waste/Clearance based in Bracknell, Berkshire. The Power Cleaning Company have been dedicated to providing outstanding results and impeccable services for domestic and commercial clients alike for over 14 years. Driveways, patios and decking professionally cleaned. Pattern Imprinted concrete driveways and patios refurbished. Full cleaning and maintenance services for blocks of flats. End of tenancy cleans - landlords, agents and private. Carpet cleaning (end of tenancy service only). Take a look through our gallery to see many of the tasks that we have completed. All works are undertaken with total professionalism and to rigorous safety procedures. Our staff are fully trained, insured and neatly dressed in uniform at all times. 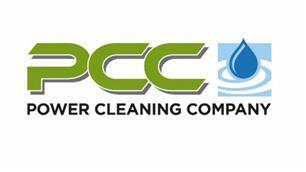 The Power Cleaning Company has an exemplary record for customer care for which we are very proud. Our specialist cleaning services are available throughout the home counties including Buckinghamshire, Berkshire, Surrey, Middlesex, and Hampshire. We cater for all types and sizes of projects including domestic households, block management, private companies, local councils and authorities, and the construction industry. When you instruct The Power Cleaning Company you can rest assured you are in good hands, with many years’ experience in the cleaning industry. Berkshire Hampshire Surrey Buckinghamshire Middlesex Parts of London. Post code areas are RG, GU, KT, SL, TW.